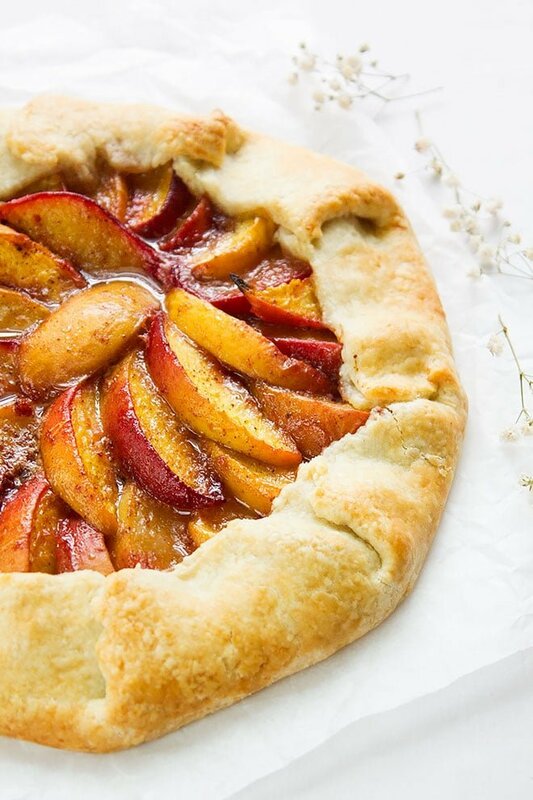 Peach Galette – When my husband said: “We are going on a mini honeymoon.” I was so happy and excited, I knew him well to know that the mini honeymoon will be full of pleasant surprises. I thought of surprising him too by making his favorite dessert, Peach Galette! 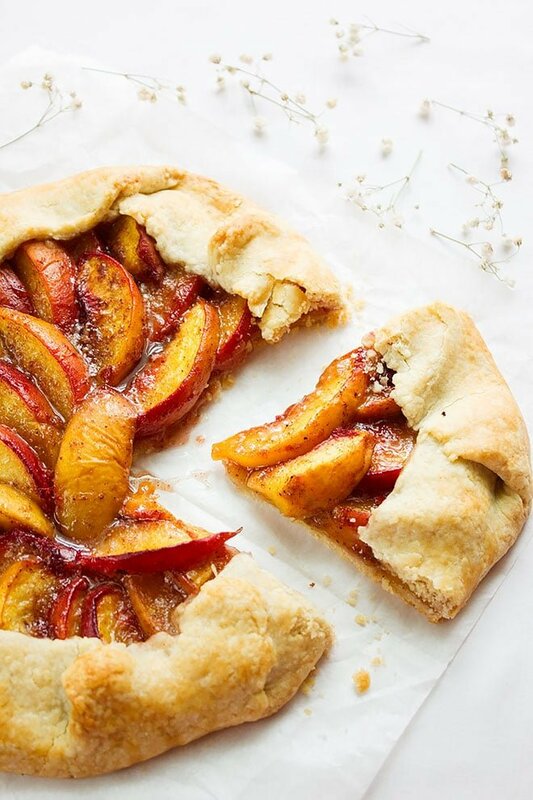 Peach Galette is an elegant French dessert, it is delicious and easy to prepare. The crust is flaky and buttery almost like a giant shortbread cookie. The peaches were perfectly sweet and are all ready to be baked. Making Peach Galette from Scratch. 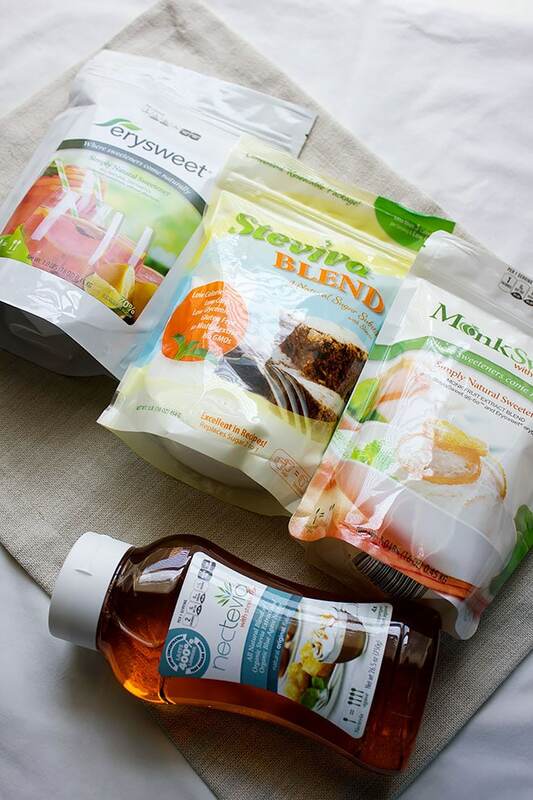 I used Steviva Blend, it combines just the right amounts of stevia and erythritol, a sugar alcohol derived by microbial fermentation, to create a truly clean, scrumptious sweetener. This product is great in baking and you really don’t have to use much. Using Steviva Blend in baking cuts the amount of sugar used in half. In fact, it reduces the calorie intake tremendously. 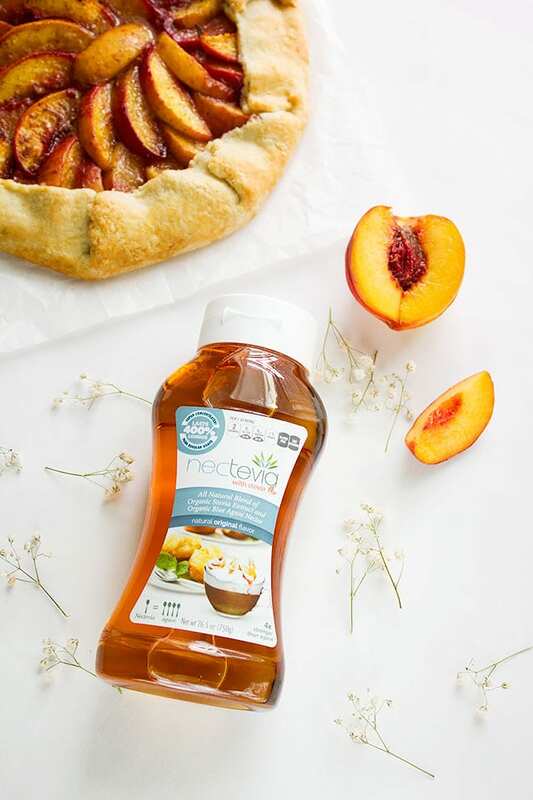 With the regular sugar you will use two tablespoons of sugar in the crust but with Steviva Blend you will only use one tablespoon with zero calories. Making this healthy choice you saved 96 calories and added Zero carbs to this dessert. Adding Steviva Blend in the crust and the filling resulted in similar sweetness as when using regular sugar. 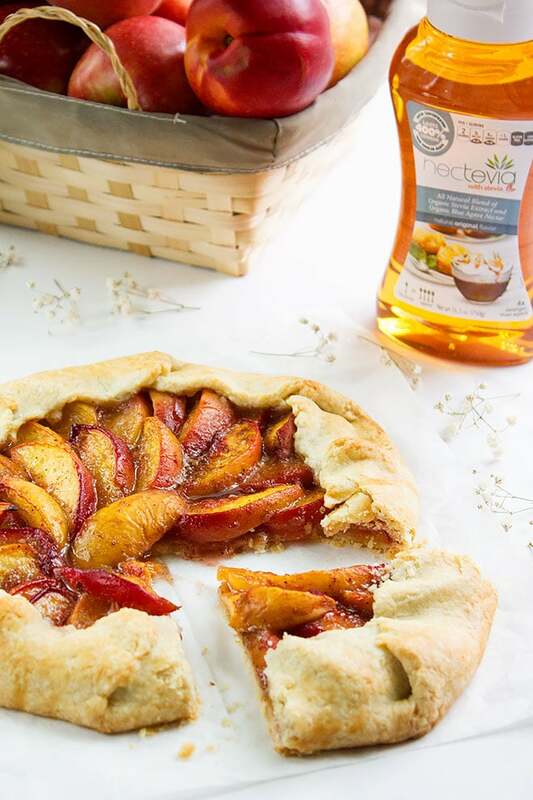 I then used Nectevia Agave Nectar, which comes in a syrup form to brush the center of Peach Galette while still warm to give it a glossy look. Baking with both these products didn’t change the taste of my dessert, but reduced the calorie and made me feel guilt free. 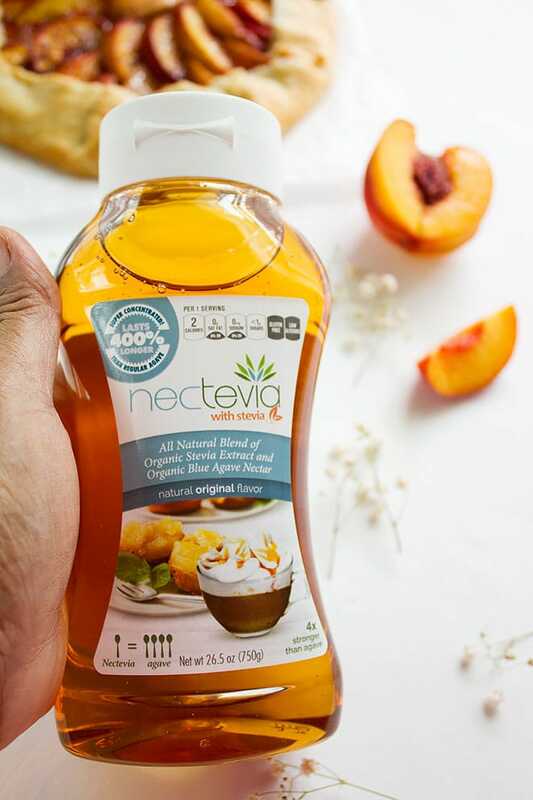 I liked Nectevia so much, it went well with iced tea, coffee, and all hot drinks. We are all set for the trip and I’ve decided to take Nectevia with us! The dessert I’m sharing with you today is amazing on its own but If you want it to blow your mind, add a scoop of vanilla ice cream on a warm Peach Galette slice. 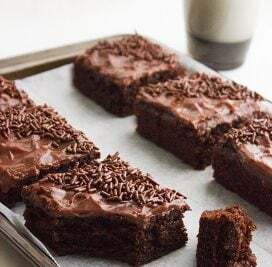 Make this recipe and let me know how you liked it. Now let’s bake and elegant dessert! 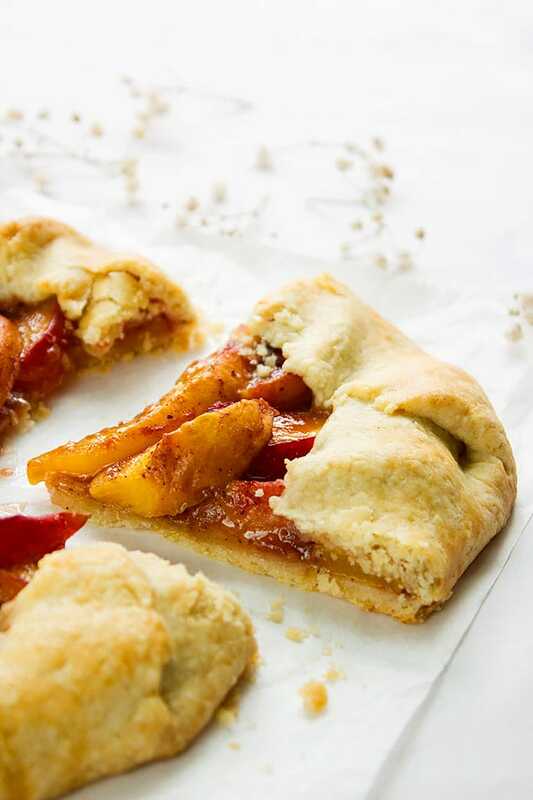 Peach Galette is a delicious and good looking dessert. 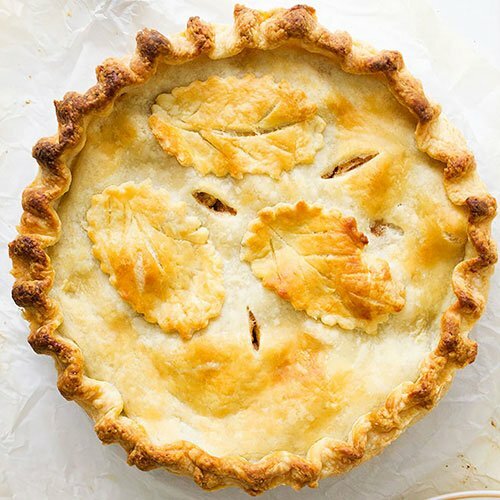 The crust is buttery and flaky, it is the perfect dessert. In a bowl, add flour, salt, sugar whisk well. Add butter and using a fork or your fingertips combine the mixture until it forms coarse crumbs. Add water and gather to form a dough. Do not knead. Shape the dough into a disk, cover with plastic wrap and refrigerate for 45 minutes to an hour. In a bowl, add all the filling ingredients. Mix well and keep aside. Since the dough is very delicate, cut enough parchment paper to cover your baking tray. Place the parchment paper on your working surface and dust with flour. Place the dough on the parchment paper and roll out to 12-13-inch round shape. If the dough is hard, then keep it out for 3 minutes and then roll. Place the parchment paper with the dough in your baking tray. Keep in the freezer for 3 minutes or in the fridge for 6 minutes. 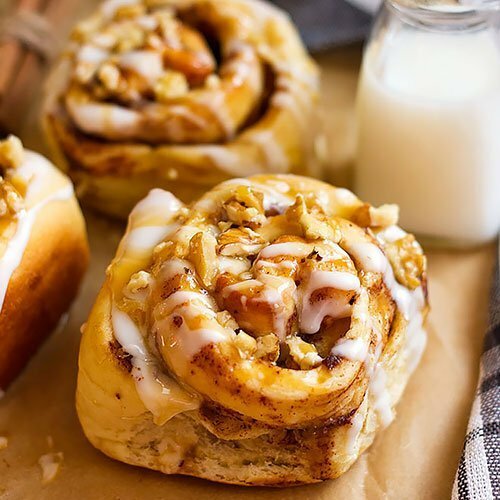 Remove dough from freezer or fridge, pile the peaches in the center of the dough or arrange it the way you like but keep it 2.5 inches away from the edges. Fold the dough edges, up and to the center do this clockwise. Brush the edges with milk. 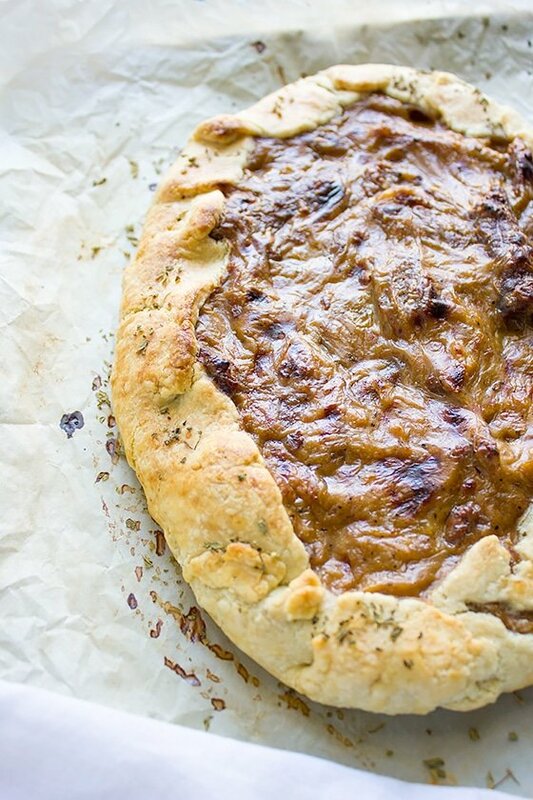 Bake the Galette for 30 to 40 minutes, or until the crust is golden brown. Learn more about Steviva through Facebook | Twitter | Instagram | Pinterest. 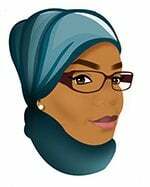 This post is sponsored by Steviva but the opinion expressed is mine.